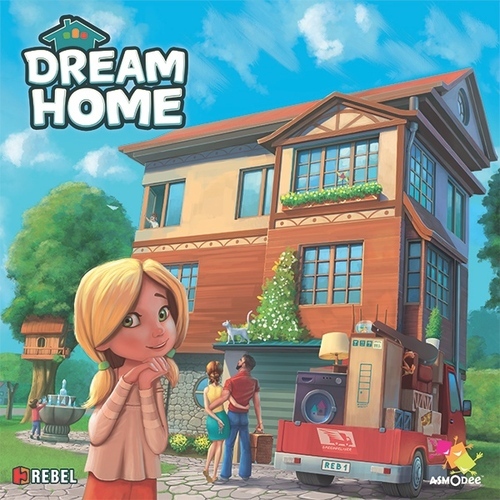 Coming from Asmodee is Dream Home, a family game aimed at ages 7+ and plays in 20 to 40 minutes. Here is your chance to design the house you have always wanted. It will take all 12 round to fill these 3 story masterpieces. 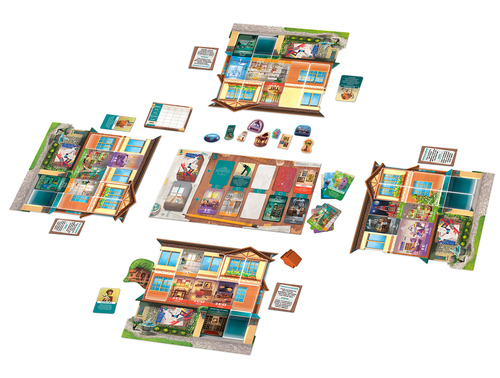 Not only do you get to select the extravagant rooms, but also helpers, luxurious items, and tools with unique abilities. 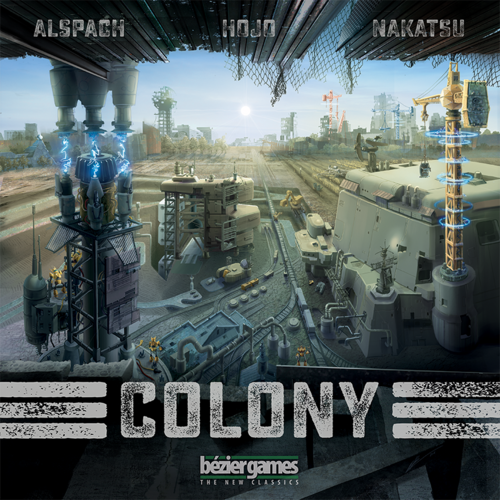 Coming soon from Bézier Games is Colony. 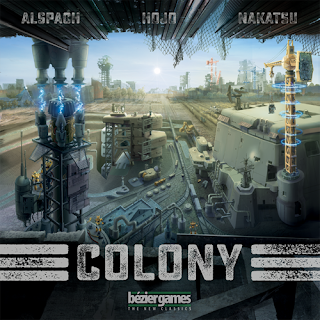 Head to a new world where players roll dice to acquire scarce resources on the way to powerful new buildings. The game will force players to utilize their dice more effectively then anyone else to build the best building combinations and complete their Colony first. Coming soon from Iello is Oceanos, an underwater exploration game. 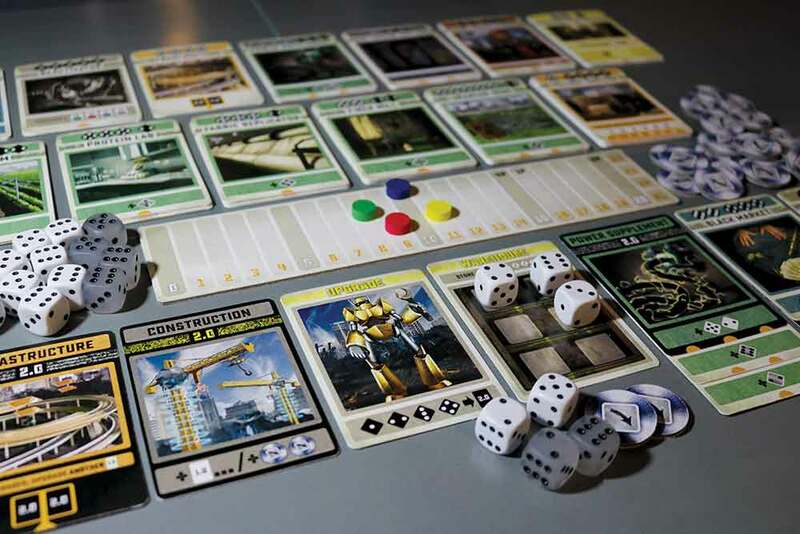 Antoine Bauza of 7Wonders fame brings us a different kind of card drafting game. 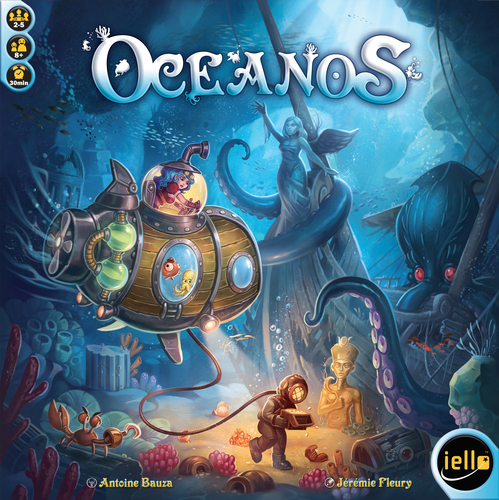 Oceanos is a family friendly strategy game. 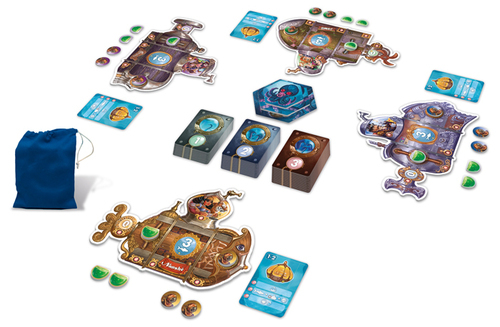 Players draft cards that allow them to upgrade different sections of their submarine. The cards can also be used to collect various animals and treasures. Players can also build an extensive coral reef. 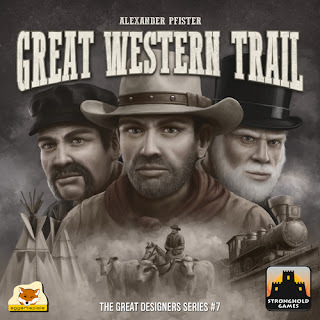 Coming soon for the serious gamer is Great Western Trail from Stronghold Games. Designed by Alexander Pfister of Isle of Skye and Mombasa, this game will put players in charge of a herd of cattle that must be driven around Texas and shipped by rail to market. Hire cowboys, craftsman, and engineers to help you along. 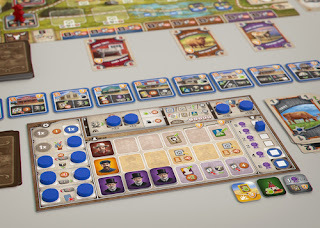 This game will have the complexity of Mombasa rather than the ease of play in Isle of Skye.